Let's move on to the most interesting - a selection of the most useful and interesting, in our opinion, tricks and hidden features of Chrome DevTools. The animations in DevTools will allow you to slow down all the animations on the page or to move the "hands" animation. How to Take Snapshot and Restarting your Windows Phone. When you bought the Windows Phone then your expectations are very high from it. It is a very different platform from android and iOS. Working on windows phone is very exciting for every new user. But it is very disappointing if you don’t know how to use the windows phone. Using windows phone is much different from android and iOS. Functioning of Windows phone is very different. Every user wants to take snapshot from their phone. Camera is available in the phone but it is used to take picture of outside activities. If you want to take picture of things inside your phone or wants to take picture of layouts inside your phone then snapshot is the only and easy way. Google has announced tablet for developers as part of Tango project. Google Company has announced new 7-inch tablet for developers, but now it is the part of Tango project. If Asus Nexus is generally familiar tablet, then Tablet Development Kit is a true vundervafli with price $1024, which cannot be bought by everyone, it is not because of the price. 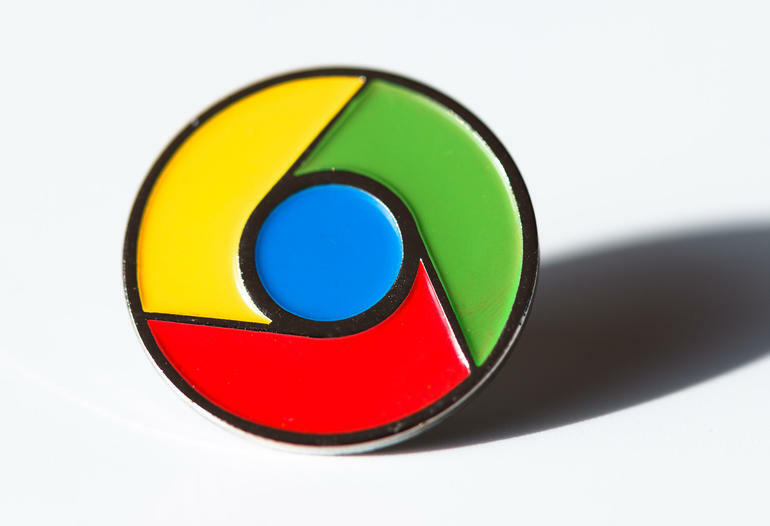 Yesterday Google announced 64-bit version of Chrome. If you want to get one, you have to choose between Dev Channel and Canary channel for Windows 7 and 8 users. I dare to suppose, that 64-bits builds of browser soon or later will be moved to the beta stage. According to the developers, new version of Chrome is about 25% faster than the regular one. Furthermore, browser supports some features of Windows 8, for example High Entropy ASLR, which makes browse just a little bit safer. While developing the code analyzer PVS-Studio intended for searching issues in 64-bit and concurrent software, we came to the need of collecting fresh information on the Internet on some topics. For example, it is always useful to answer the questions of programmers who may be interested in our tool on various forums and blogs. While collecting the data we found out that there is much information on the Internet and therefore manual search might be very long and tiresome. Thus the task of automating the process of searching for fresh data appeared. In this post we will tell you how we do this. 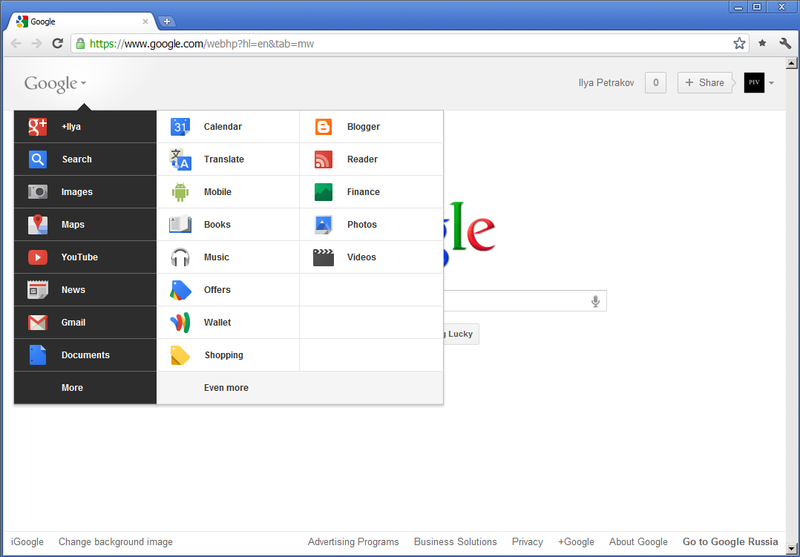 The other day Google has introduced its new bar that will enable to navigate quickly between its services. According to Google’s tradition only the élite can see the new design changes. In order to experience it you have to do a few simple steps. 1. Please go to Google homepage. 2. Press Ctrl + Shift and J in Google Chrome (in order to open the Developer Tools) or Ctrl + Shift + K in Firefox. 4. Enjoy the new Google bar! UP: If you use a different (regional) domain, then change the domain=.google.com for .google.ru, google.co.uk and so on. Google has a secret laboratory that even many employees do not know about, where the new projects are being developed, and their description sounds like a sci-fi movie. The New York Times tells about this in its article. 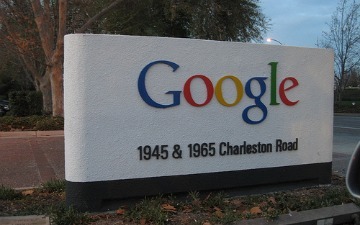 The laboratory was located somewhere in the area of San Francisco Bay, where the brightest Google’s engineers are working on dozens of the projects. This is the place where your refrigerator could be connected to the Internet, and it will order the food, when it ends. Your plate could message in a social network what you eat, and your PA robot could go to the office while you are in your pajamas at home. Google Inc. sent out invitations to a press conference that being held jointly with Universal Music Group a couple of days ago. The Conference will be held in Los Angeles, and the subject of the conference is the new music service from Google. The launch of Google Music was delayed all the time, but now, as you can see, the music service starts working. A partner of Google is Universal Music. Namely, this company is listed as a co-organizer of the conference. Google has signed a cooperation agreement, namely acquired the right to use the Universal Music tracks in its service. The negotiations with Sony Music Entertainment and Warner Music Group are less fortunate, and Google representatives are still trying to negotiate with these guys. In addition, it is unclear whether a group of companies as EMI would work with Google. It is unlikely that someone would complain on this trip: a team of Google employees recently has traveled across the Swiss Alps to photograph the Albula-Bernina line that is considered one of the most scenic rail routes in the world, and it is included in the UNESCO World Heritage List. The route is known for its mountain sceneries that starts from a Swiss commune Thusis and goes through St. Moritz to the Italian border in Tirano. The panoramas have made with the support of Rhaetian Railway that will appear on the "Google Maps” soon.